This has been driving me nuts - I can't find a single thing on the net that would indicate why the quarter rest is penned the way it is. Did it evolve from some initial or abbreviation or was it always a random scrawl? According to Honegger-Massenkeil, Das Große Lexikon der Musik, published in Freiburg 1982 [an 8 volume reference work], the symbol derived from the semiminima rest. This looks like an uppercase-L turned 90 degrees in clockwise direction hovering between the second and the middle line of a staff counted from the top, so I assume the squigly line was probably the distortion of that symbol caused by handwriting. I found an example in the lilypond documentation here, mirrored below in the middle staff. The first line shows the symbol mentioned by Caleb. This Liszt-piece, printed by Diabelli 1838 shows not only another form (mirrored z-like), but by showing a combination of the older mirrored 8th rest and a second one rotated by 180 degrees [two eighth rests gives a quarter rest - mathematically pleasing], also suggests this as possible genereration path of the "squigly" symbol. I'm not sure exactly when or how the squiggly-line shape came about, but I do know there is an alternate notation that looks like a backwards eighth-note rest (called a "semiminima rest", as guidot mentions). You can see this shape used in early Baroque manuscripts, and it originates in mensural notation. Based on a review of several manuscripts I found with Google image searches, I believe this form gradually evolved into the familiar squiggly line. First, at the top of this page is an image of a Corelli manuscript that shows the semiminima style of rest. Look at the first bar of the basso continuo part (second staff). Note the rest is somewhat gamma-shaped, exactly backwards from the eighth-note rests on either side of it. Next, look at this scribbled Bach manuscript of BWV 995. There are several quarter rests scattered throughout, especially in the second staff. They look a bit like square-root symbols. The gamma shape has gained a small check at the beginning, and the upward stroke -- probably difficult to write using the pens of their day -- has now become slanted. The bar across the top is slightly curved. 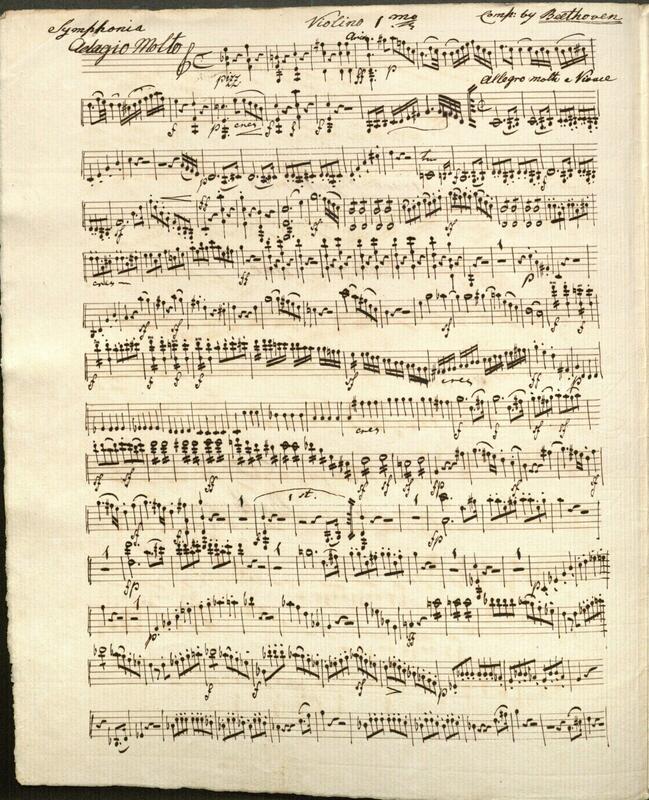 Next, look at this neater manuscript of Bach's Quodlibet from the Goldberg Variations. In the first full bar, the soprano part begins with a half rest followed by a quarter rest. The quarter rest is a horizontal squiggle, that almost looks like a trill or similar ornament. On the one hand, this symbol can be correlated to the square-root shape in the previous step, by emphasizing the angular check, shortening the upward stroke, and greatly curving the top bar. On the other hand, this symbol looks not terribly dissimilar from a modern quarter note rest, but rotated on its side. As a later point of reference, here's a manuscript from Beethoven, that shows clear similarity to the square-root shape from the first Bach example. 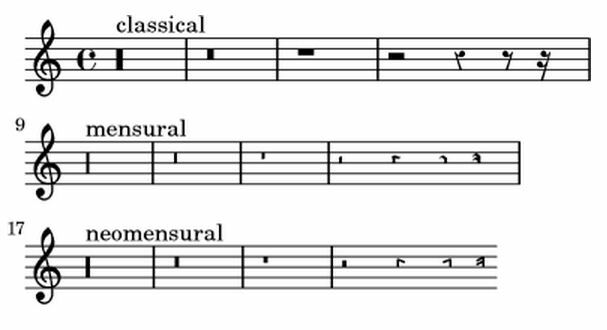 Similar examples can be found in Mozart and Haydn. The symbol is vaguely similar to a backwards Z, and lacks all the fanciness of the Quodlibet example above (which seems to be most similar to the modern symbol). In this Mahler (look at the first few bars of flutes and oboes), the rest is being written largely the same, as a horizontal squiggle similar to an M, a backwards N, or a partial W (also similar to the Quodlibet, though without the pronounced curve). Just a caution: this is all speculation on my part, but it seems that the evolution of this symbol was, at least partly, driven by the limitations of the pen technology of their time. I understand that pen nibs work much better when pulled, rather than pushed. "In the 14 th century, the line with a crook attached was called crotchet (pronounced like the crochet lace) which meant crook. The French word for crook was also the origin for the crochet needle, giving rise to the name for crochet lace. This crotchet symbol represents a quarter-note rest." However, neither there nor at Wikipedia is it clear whether the "crook" was supposed to be represented in the quarter-rest symbol as well as in the quarter-note symbol. Not the answer you're looking for? Browse other questions tagged notation history or ask your own question. When did the appearance of the quarter rest in music change from its original appearance? Why is this stripe (or N) used to display a crotchet rest?